Another tempting attribution to Shakespeare takes shape here, in The True Chronicle History of the Whole Life and Death of Thomas Lord Cromwell, published in 1613, and attributed by Thomas Snodham, the play’s printer, to an ambiguous “W.S.” When the third folio of Shakespeare’s collected works was published in 1633, several additional plays were included that had not been taken up by earlier folio editions. 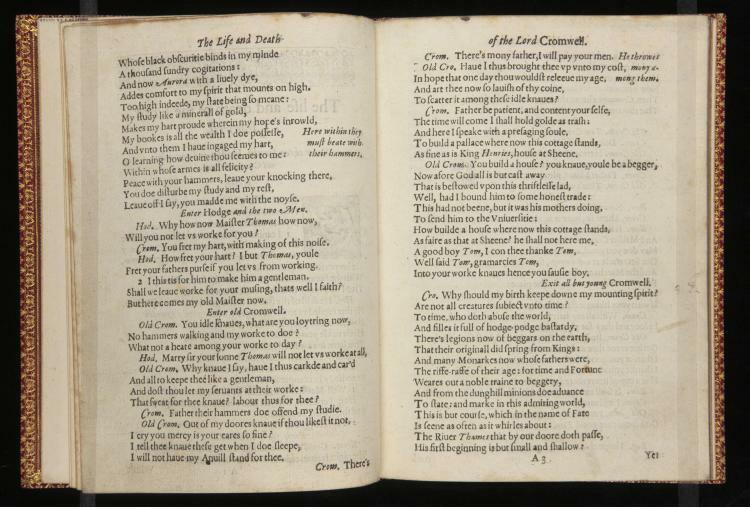 The Life and Death of Thomas Lord Cromwell was one of those plays, along with other apocrypha like Sir John Oldcastle and The London Prodigall, and it is not hard to see why the play—with an attribution like “W.S.”—was temporarily included in the Shakespearean canon. 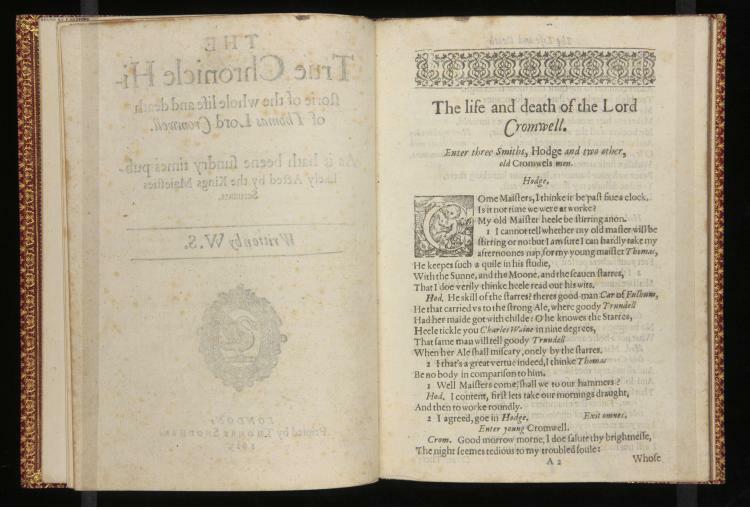 If nothing else, those initials must surely have been tempting to any aspiring publisher hoping to boost sales by expanding the corpus of Shakespearean works that was already in circulation. 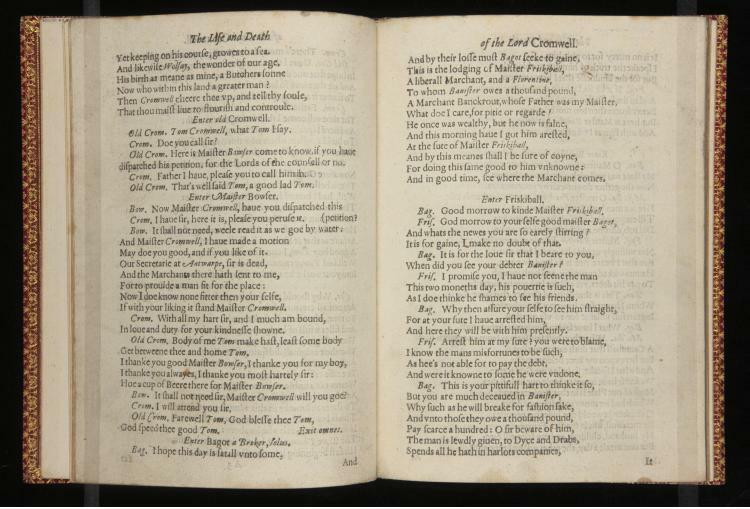 The mention of the King’s Men—Shakespeare’s playing company after the coronation of King James—only encourages further such an attribution. 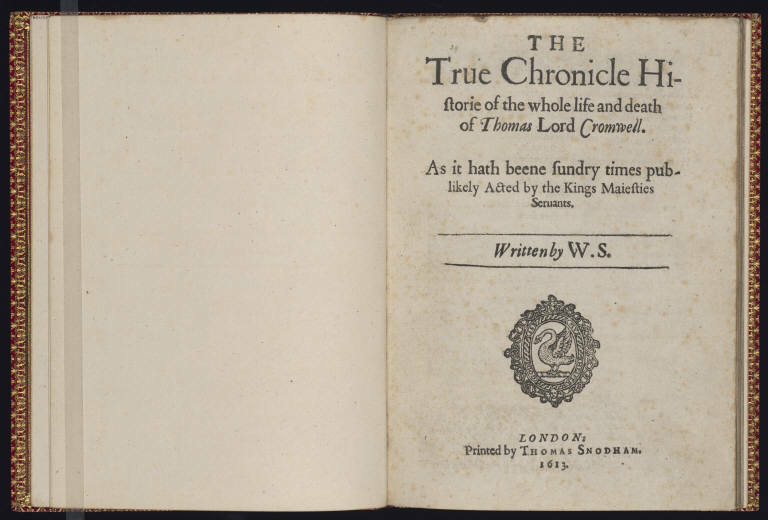 And Shakespeare’s proven knack for writing history plays such as The Life and Death of Thomas Lord Cromwell, which chronicles the story of Henry VIII’s much maligned adviser, would not have done anything to persuade prospective publishers, hunting through plays many years later, that this was a piece written by anyone other than the author of Henry V, 1 Henry IV, and Richard II.